Are there any questions? Crickets. Eliciting a response from 60+ college students in General Chemistry at 8:00AM is challenging, at best. I sometimes find myself in the lecture hall thinking I’m part entertainer since the only signs of life are when I tell a chemistry joke or play the sound of crickets (yes, there is an app for that) and I am rewarded with a few courtesy laughs. I was having students solve problems at the start of each lecture to encourage them to stay current with their studying outside of class. The students would get a few minutes to work together on the problem on a slide and then submit a ½ sheet of notebook paper for 1-2 points for participation and correctness. While the students benefited from the frequency of compulsory problem solving, I was slowly being buried by little stacks of paper needing to be graded each week. 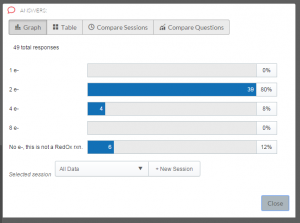 This in-class student response system requires no clicker and works with a browser, an iPhone or Android app, or SMS message for the non-smartphone user. Top Hat takes advantage of devices the students already have in hand and utilizes it for engagement, instead of distraction. After demonstrating how to solve a problem on the board, I give them a related problem to practice (and a break from listening to me talk). They can work with each other and then submit their answer in Top Hat. I often use multiple-choice since that is similar to exam format, but I change it up with the numeric input, word input, or matching formats. They light up when they get the answer correct because they get instant feedback on their Top Hat enabled device. With the anonymous results on the projector screen, they get an idea of how they compare to each other. From a teaching perspective, this has helped me with the pacing of my lectures. If a majority of them get the correct answer, I know we have covered that material sufficiently and can move forward. 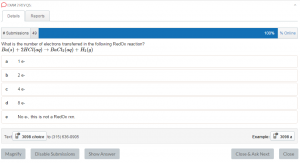 However, a low response rate for the correct answer or a split % between 2 answers is an opportunity to discuss the distracting answers or how to correctly set up the problem on the board. They are more willing to provide input for each other once they know the answer is correct and they are confident in their approach to the problem. 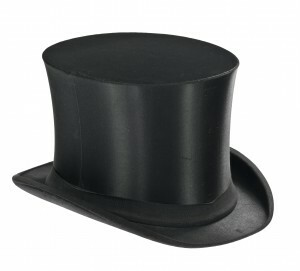 I use Top Hat every day in my classes at CI. Sometimes 4-5 times during a single lecture. I even incorporated it into my second job at Moorpark College. Students at both campuses love using it and they are visibly excited to solve the problems. I rarely hear crickets in lecture and the little stacks of paper have disappeared from my office.